Shopping for Movies Action Figures? Stunning 1:6 scale action figure of Yang Jian! Inspired by the fantasy-action-adventure film Wu Kong. Features a realistic likeness of actor Shawn Yue Man-lok. Boasts multiple hands and points of articulation, detailed tailored clothing, and weapons! 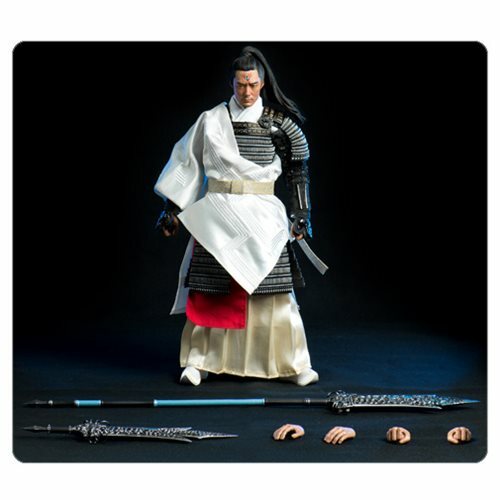 Inspired by the Chinese fantasy-action-adventure film Wu Kong, this stunning 1:6 scale action figure of Yang Jian measures about 12-inches tall. It boasts multiple hands and points of articulation, detailed tailored clothing, weapons, and a head sculpt featuring a realistic likeness of actor Shawn Yue Man-lok!